Display the poster in your story corner alongside books about farms, puppets and other related props, such as small world farm resources. 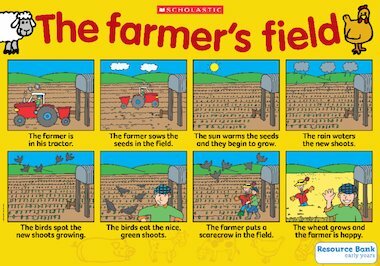 Invite children to consider growth in a farmyard setting by cutting out the individual images, laminating them and then using them as sequencing cards for children to tell the story. There are also story sequencing cards and additional activities linked to this poster available in our web resource bank.